A stadium is a place or venue for (mostly) outdoor sports, concerts, or other events and consists of a field or stage either partly or completely surrounded by a tiered structure designed to allow spectators to stand or sit and view the event. Owlerton is a suburb of the city of Sheffield, it lies 2.2 miles (3.5 km) northwest of the city centre near the confluence of the River Don and River Loxley. Owlerton was formerly a small rural village with its origins in the Early Middle Ages; it became part of Sheffield in the early 1900s as the city expanded. Owlerton stands just east of the adjacent suburb of Hillsborough and the division between the two districts is difficult to delineate. The suburb falls within the Hillsborough ward of the city. This is further complicated by the fact that certain buildings such as Hillsborough Stadium, Hillsborough Leisure Centre and Hillsborough College lie firmly within Owlerton. The name Owlerton is believed to come from the abundant growth of alder trees in the area. Although the ground has received little investment since it was built in 1899 it is still regarded as "a beautiful ground oozing character." It has two large two-tiered stands and two large single-tiered stands, all of them covered. All four stands are of a similar capacity with the South Stand being the largest and the West Stand, usually housing the away supporters, the smallest. 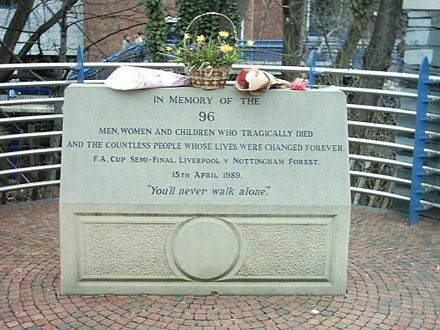 The Hillsborough disaster was a fatal crush of people during an FA Cup semi-final football match between Liverpool and Nottingham Forest at Hillsborough Stadium in Sheffield, England, on 15 April 1989. With 96 fatalities and 766 injuries, it remains the worst disaster in British sporting history. The crush occurred in the two standing-only central pens in the Leppings Lane stand, allocated to Liverpool supporters. Shortly before kick-off, in an attempt to ease overcrowding outside the entrance turnstiles, the police match commander, chief superintendent David Duckenfield, ordered exit gate C to be opened, leading to an influx of even more supporters to the already overcrowded central pens. 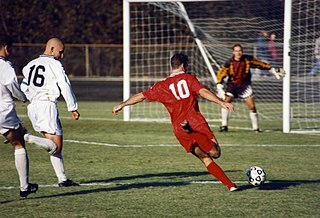 The FA Cup, also known officially as The Football Association Challenge Cup, is an annual knockout football competition in men's domestic English football. First played during the 1871–72 season, it is the oldest national football competition in the world. It is organised by and named after The Football Association. For sponsorship reasons, from 2015 through to 2019 it is also known as The Emirates FA Cup. A concurrent women's tournament is also held, the FA Women's Cup. Plans by the club to renovate the stadium and expand the capacity to 44,825 have been approved by Sheffield City Council with the aim of hosting World Cup matches. The playing surface was upgraded in 2015 to the Desso GrassMaster system,  also including a complete replacement of the under-soil heating and drainage systems, while the scoreboard was replaced by a modern 'big screen' prior to the 2015–16 season. The stadium previously played host to World Cup and European Championship football in 1966 and 1996 respectively. Under-soil heating is a method used in various sports stadia which heats the underside of the pitch to avoid any elements from bad weather, such as snow and ice, from building up and ultimately helps the club avoid having to postpone any matches. The FIFA World Cup, often simply called the World Cup, is an international association football competition contested by the senior men's national teams of the members of the Fédération Internationale de Football Association (FIFA), the sport's global governing body. The championship has been awarded every four years since the inaugural tournament in 1930, except in 1942 and 1946 when it was not held because of the Second World War. The current champion is France, which won its second title at the 2018 tournament in Russia. During the 1898–99 season Sheffield Wednesday were told that the land rented at Olive Grove would be needed for railway expansions. They were allowed to remain there for the rest of that season but had to find a new ground for the next season. Several locations were considered but fell through for various reasons. An alternative was offered by the Midland Railway Company but it did not meet the requirements of the club. The 1898–99 season was the 28th season of competitive football in England. The Midland Railway (MR) was a railway company in the United Kingdom from 1844 to 1922, when it became part of the London, Midland and Scottish Railway. It had a large network of lines managed from its headquarters in Derby. It became the third-largest railway undertaking in the British Isles. The ground was known as the Owlerton Stadium until 1914, when it was renamed Hillsborough to coincide with a series of ground improvements. The ground took its new name from the newly created parliamentary constituency. The ground proved to be lucky for Wednesday with the first 8 years proving to be their most successful so far. They included their first league wins in the 1902–03 and 1903–04. This was followed by a second FA Cup in 1907. The first FA Cup semi-final to be held at the stadium was a replay between West Bromwich Albion and Blackburn Rovers on 3 April 1912. A crowd of 20,050 saw an extra time goal give West Brom the win. This was followed by its first international on 10 April 1920. A match between England and Scotland was watched by 25,536. The game ended with England winning 5–4. The following two seasons saw Hillsborough host two more FA Cup semi-finals, both between Preston North End and Tottenham Hotspur. The crowds for these matches were 43,320 and 49,282 respectively. The highest ever attendance was 72,841 on 17 February 1934 for an FA Cup 5th-round game against Manchester City. After the end of the 1912–13 season a record profit was announced by the club. 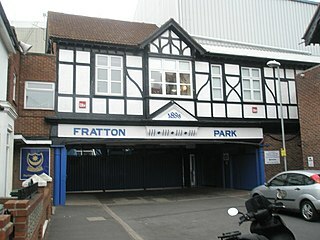 The money was invested in a replacement for the Olive Grove stand on the south side of the stadium. The banking on the Spion Kop was also increased in size. The new south stand was completed in time for the first round of the FA Cup on 1 October 1913 against Notts County. It cost £18,000 and included 5,600 seats plus terracing at the front. New offices, dressing rooms, refreshment rooms and a billiard room were also part of the new stand. The second round tie went to a replay on 4 February 1914, which was held in front of a record home crowd of 43,000. However the match was remembered for the collapse of the new retaining wall at the Penistone Road end. It caused 70 injuries and caused the match to be suspended while the casualties were taken to the infirmary. Demolition of the North Stand began in 1960 and work began on a new £150,000 stand. The new stand, designed by local firm Husband & Co, was 360 feet (110 m) in length. It was only the second stand in the country, after one at Scunthorpe United's Old Showground, to be built with a cantilever roof and the first to run the full length of the pitch. It was opened on 23 August 1961 by Stanley Rous, secretary of the Football Association. The 10,008 capacity all-seater stand almost doubled the seating capacity of Hillsborough from 9,000 to 16,000. On 25 June 2007, the River Don burst its banks during a period of severe weather in the area and the whole ground was flooded with several feet of water. Changing rooms, restaurants and kitchens, offices and superstore were all affected, with repairs costing millions of pounds. The clean-up effort took months, although Sheffield Wednesday fixtures were only slightly affected as the floods occurred in the close season. A memorial to the floods was unveiled on 25 June 2008 under the South Stand. After the Hillsborough disaster in 1989 the lower tier terrace was closed for two years and its fencing covered with blue tarp  for the remainder of the 1988–89 season. The terrace remained out of use for 1989–90,  and its fences were removed entirely prior to the 1990–91 season. The terrace was converted to 2,294 seats and re-opened in time for the 1991–92 season. The North West Corner was the last section of the stand to be made all seated, adding another 1,337 seats to the structure. The old wooden seats in the upper tier were replaced with bigger plastic ones in 1997. During the 2012–13 season the first row of seats were removed from the lower tier, after an incident involving Leeds United supporters when a minor pitch invasion took place. In the summer of 2013 small gates were installed at the front of the gangways in order to keep fans at bay. After the Hillsborough disaster in 1989, the stand's blue fences were at first retained. However, for the 1989–90 season, the gates allowing egress to the pitch were painted white and kept open throughout all matches, including the Steel City derby on 21 November 1989. The Kop was the last part of the Wednesday ground to be converted to all-seater accommodation, the change finally coming in 1993 to comply with new FA Premier League regulations following the Taylor Report. The capacity was hence halved, but the Kop remains one of the largest single tier stands in Britain. A large concourse area was added in 2004, partially funded by the Owls Trust. The North West Corner, or North West terrace as it is sometimes still referred to as, despite now being all seated is the only major section of the stadium to remain uncovered (the other area is the Kop Corner). The original North West Terrace was built between 1919 and 1920 to adjoin both the North Stand and West Stand, but was demolished in early 1965 and replaced in mid 1966, in time for the 1966 World Cup. The terrace was not in use for two years, and seats were installed in 1991 along with the Leppings Lane terrace. The stand failed to gain a safety certificate for the 2007–08 season. In recent years it had only been used as overspill for away fans when both the upper and lower tiers of the West Stand have been filled, however in the 2011–12 season, with Wednesday needing to better or match the result of their neighbours to gain promotion on the final day of the season, the Corner was opened to visiting Wycombe Wanderers fans, with the West Stand used by home supporters. Whilst not being used for seating, the Corner has recently been used as extra advertising space, with advertising boards on the back wall, and more recently a large 'My Sheffield Jobs' seat covering appearing alongside their sponsorship of the North Stand. It is sponsored by Handley Brown. This corner is to be roofed, under the Hillsborough stadium Upgrade plans, yet no work has yet been done, due to owners of the nearby terraces complaining. This corner is commonly nicknamed the 'Crows Nest' by Wednesdayites.The corner is still unable to gain a safety certificate and remains unused by fans. Television company Sky use the corner for their temporary studios and technical area for televised games. The stadium is located in the north west of the city roughly three miles from the city centre. The area is mainly residential with a number of shops and a shopping centre located at nearby Hillsborough Corner. Views of the area can be enjoyed from hills located to the west. Sheffield Wednesday Football Club is a professional association football club based in Sheffield, England. The team competes in the Championship, the second tier of the English football league system. Formed as an offshoot of The Wednesday Cricket Club in 1867, they went by the name of The Wednesday Football Club until changing to their current name in 1929. Valley Parade, also known as the Northern Commercials Stadium through sponsorship rights, is an all-seater football stadium in Bradford, West Yorkshire, England. It was built in 1886, and was the home of Manningham Rugby Football Club until 1903, when they changed code from rugby football to association football and became Bradford City. It has been Bradford City's home since, although it is now owned by former chairman Gordon Gibb's pension fund. It has also been home to Bradford for one season, and Bradford Bulls rugby league side for two seasons, as well as host to a number of England youth team fixtures. Elland Road is a football stadium in Leeds, West Yorkshire, England, which has been the home of Leeds United FC since the club's formation in 1919. The stadium is the 13th largest football stadium in England, and the fourth largest outside the Premier League. Deepdale is a football stadium in the Deepdale area of Preston, England, the home of Preston North End F.C. Bramall Lane is a football stadium in Sheffield, South Yorkshire, England. It is the home of Sheffield United. As the largest stadium in Sheffield during the 19th century it hosted most of the city's most significant matches including the final of the world's first football tournament, first floodlit match and several matches between the Sheffield and London Football Associations that led to the unification of their respective rules. It was also used by Sheffield Wednesday and Sheffield F.C. for major matches. It has been the home of Sheffield United since the club's establishment in 1889. It is the oldest major stadium in the world still to be hosting professional association football matches. Mansfield Town's Field Mill ground is the only stadium currently hosting professional football that is older than Bramall Lane. Spion Kop is a colloquial name or term for a number of single tier terraces and stands at sports stadiums, particularly in the United Kingdom. National Football Stadium at Windsor Park is a football stadium in Belfast, Northern Ireland. It is the home ground of Linfield FC and tenants Northern Ireland national football team, and is also where the Irish Cup final is played. Bloomfield Road is a football stadium in Blackpool, Lancashire, England, which has been the home of Blackpool F.C. since 1901. Gigg Lane is an all-seater football stadium in Bury, Greater Manchester. One of the world's oldest professional football stadiums, it was built for Bury F.C. in 1885 and has been their home ever since. Currently, the ground is officially known for sponsorship reasons as the Energy Check Stadium but it will soon be renamed the Planet-U Energy Stadium following a deal signed by the club with Leeds-based Planet-U Energy on 19 February 2019. An all-seater stadium is a sports stadium in which every spectator has a seat. This is commonplace in professional association football stadiums in nations such as the United Kingdom, Spain, and the Netherlands. Most association football and American football stadiums in the United States and Canadian Football League stadiums in Canada are all-seaters, as are most baseball and track and field stadiums in those countries. A stadium that is not an all-seater has areas for attendees holding standing-room only tickets to stand and view the proceedings. Such standing areas were known as terraces in Britain. Stands with only terraces used to dominate the football attendance in the UK. For instance, the South Bank Stand behind the southern goal at Molineux Stadium, Wolverhampton, home of Wolverhampton Wanderers F.C., had a maximum of 32,000 standing attenders, while the rest of the stadium hosted a little bit less than that. Blundell Park is a football ground in Cleethorpes, North East Lincolnshire, England and home to Grimsby Town Football Club. The stadium was built in 1899, but only one of the original stands remains. The current capacity of the ground is 9,052, after being made all-seater in summer 1995, reducing the number from around 27,000. Several relegations in previous years meant the expansion seating was also taken away; that reduced the capacity further from around 12,000 to what it is now. The County Ground is a stadium located near the town centre of Swindon, England, and has been home to Swindon Town Football Club since 1896. The current capacity of 15,728, all-seated, has been at that level since the mid-1990s. A record attendance of 32,000 was set on 15 January 1972, against Arsenal in the 3rd round of the FA Cup. North of the football stadium is Swindon Cricket Club, with their pitch is also named The County Ground which was used for the football club from 1893 till 1896. Oakwell is a multi-purpose sports development in Barnsley, South Yorkshire, England used primarily by Barnsley Football Club for playing their home fixtures, and those of their reserves. Roots Hall is a football stadium located in Southend-on-Sea, Essex, England. The stadium is the home ground of the League One football club Southend United. With a capacity of 12,392 Roots Hall is the largest football stadium in Essex, and is the current venue for the final of the Essex Senior Cup. Plans are in place for a new 22,000 seat stadium at Fossetts Farm, though work has yet to begin on the new development. Saltergate, officially the Recreation Ground, was the historic home of Chesterfield Football Club, and was in use from 1871 until the club's relocation in July 2010, a 139-year history that made it one of the oldest football grounds in England at the time of its closure. The name 'Saltergate' became predominant in popular usage from the 1920s. Broadhall Way, known as the Lamex Stadium for sponsorship purposes, is an association football stadium in Stevenage, Hertfordshire. It has been the home ground of Stevenage since the early 1960s, and has a capacity of 6,722 people, including 3,142 seats. Headingley Rugby Stadium,, shares the same site as Headingley Cricket Ground and is home to both Leeds Rhinos and Yorkshire Carnegie rugby teams. Headingley is also the 5th largest rugby league stadium in England. 1 2 "Hillsborough Stadium – About Hillsborough". Sheffield Wednesday Football Club. Archived from the original on 19 March 2015. Retrieved 20 July 2015. ↑ "Sheffield Wednesday". Football Ground Guide. Duncan Adams. Retrieved 27 January 2018. ↑ "Sheffield Wednesday: Work continues on Desso pitch". Sheffield Star . 26 May 2015. ↑ Young, Percy (1962). Football in Sheffield. S. Paul. ↑ Pybus, Sylvia (1905). Old Ordnance Survey Maps, Sheffield (Hillsborough) 1902 (Notes). Ordnance Survey. ISBN 1-84151-939-1. ↑ "The 'My Sheffield Jobs' North Stand". FL Interactive. Retrieved 14 February 2008. 1 2 Conn, David (19 September 2012). "Hillsborough families call for Sheffield Wednesday manslaughter inquiry". The Guardian. Guardian News and Media. Retrieved 19 September 2012. ↑ "Hillsborough report: Key findings". BBC News. BBC. 12 September 2012. Retrieved 19 September 2012. 1 2 "Owls get blues over flood damage". Daily Mail. Associated Newspapers. 3 August 2007. Retrieved 17 September 2012. ↑ "Flood damage at Hillsborough". BBC Sheffield & South Yorkshire. BBC. 16 July 2007. Retrieved 17 September 2012. ↑ Pevsner & Radcliffe 1967, p. 465. ↑ "Sheffield Wednesday – The Official Review of Barclays League Division One 1988–89". YouTube. Retrieved 28 April 2014. ↑ "Hillsborough: Crowd Safety Measures:". Itnsource.com. 19 August 1989. Retrieved 28 April 2014. ↑ "Sheffield Wednesday – The Complete Story 1991–92 League Season". YouTube. Retrieved 28 April 2014. ↑ "Sheffield Wednesday – The Official Review of Barclays League Division 1 – 1989/90". YouTube. 21 November 1989. Retrieved 28 April 2014. ↑ "Directions To Hillsborough". SWFC.co.uk. Retrieved 12 September 2006. ↑ Wednesdayite website. Gives details of redevelopment. 1 2 3 4 "Club Records". 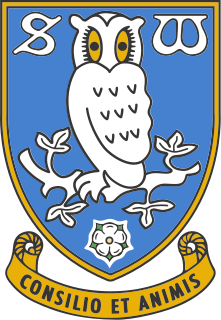 SWFC.co.uk. Retrieved 5 February 2008. ↑ "Match report at Soccerbase". www.soccerbase.com. Retrieved 5 February 2008. Wikimedia Commons has media related to Hillsborough Stadium .